Permeable paving uses sustainable materials such as clay pavers to allow the movement of water through the surface. 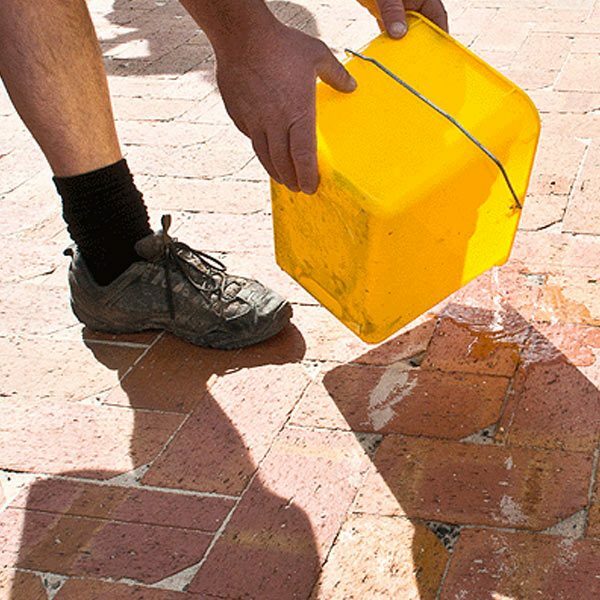 Permeable paving reduces run-off in high rainfall periods and also effectively traps suspended solids, and filters pollutants from the water. In drier times, many large trees are in danger of drought-like conditions due to insufficient water in the sub-soil when the surface is paved. Permeable paving allows surface water to penetrate to the roots of these trees. 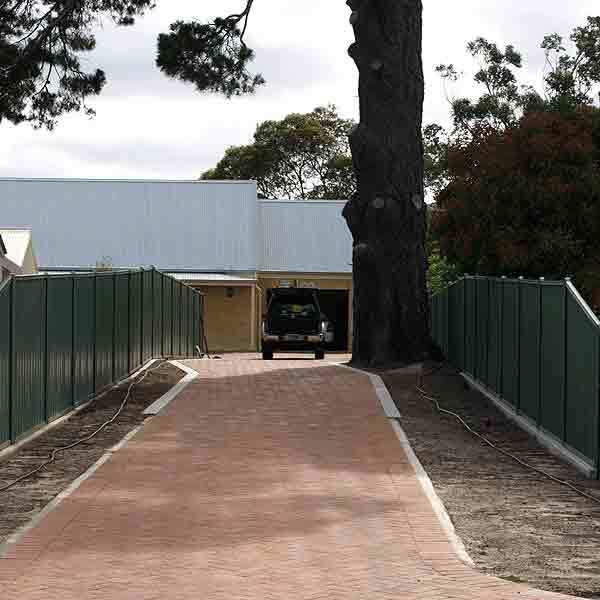 Old Red Permeable Paving – used here to protect a significant tree. With much of Australia’s urban environment paved in an impermeable skin of concrete, stone and other materials, related problems like flash flooding and urban heating are driving ever more stringent planning and construction regulations. Stormwater management in particular comes under closer scrutiny, with councils requiring that greater percentages of sites under development be a soft, natural landscaped area. 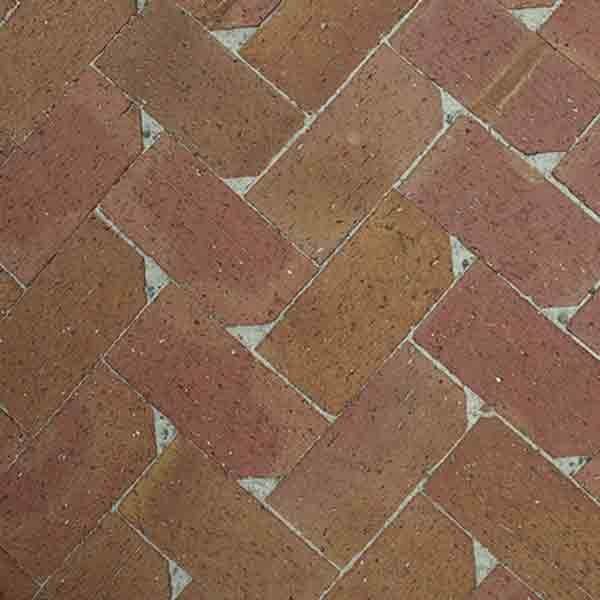 In many cases, permeable clay paving will meet or exceed the requirements, with porous material between such as gravel. The outcome will be something more akin to a natural landscape, with the water passing through to underlying structures before infiltration into the water table, or to be redirected through drainage systems. As well as reducing runoff, water quality can be improved as pollutants are filtered in the substrata layers. Importantly, such systems can function without compromising the amenity of above-lying floor areas, with products now available to suit everything from lightweight requirements for covering areas around tree roots and roof gardens, to heavy duty durability for car parks and driveways. 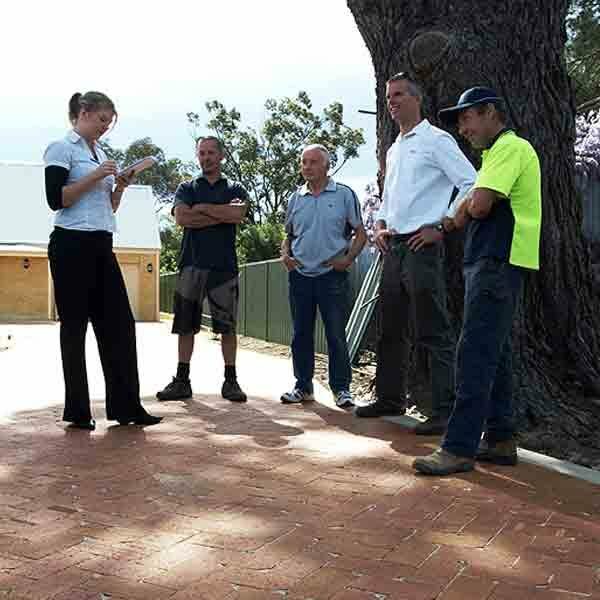 The benefits of these permeable paving solutions can go beyond meeting regulations, for instance, creating low-maintenance floor areas, cost-effective erosion control and eliminating the problem of tree roots lifting and cracking concrete pathways.